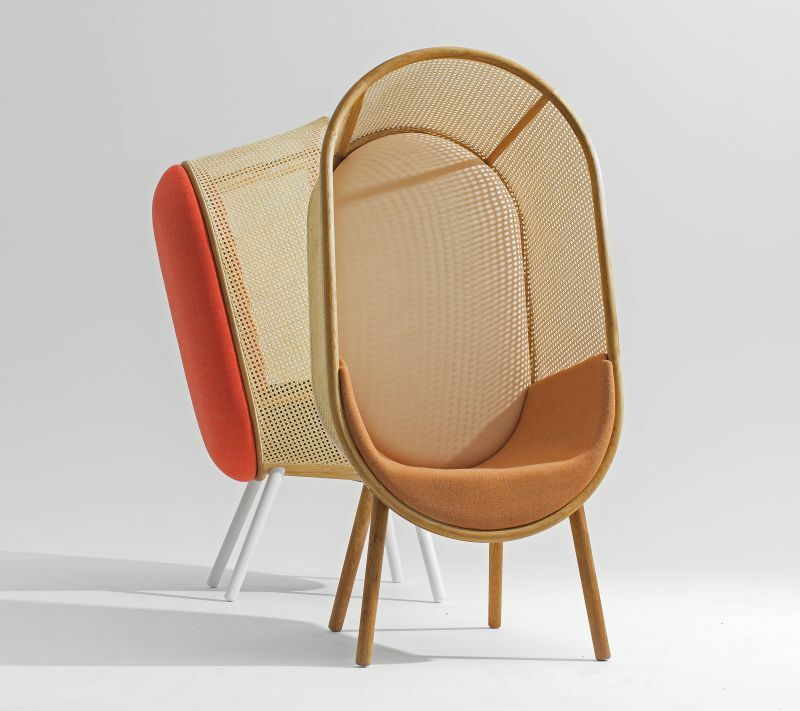 Inspired by the organic modernism of the 1960s where soft and sculptural shapes melt together, Danish designer duo Kevin Hviid and Martin Kechayas have designed Cocoon, a boho style lounge chair for homes as well as public spaces. 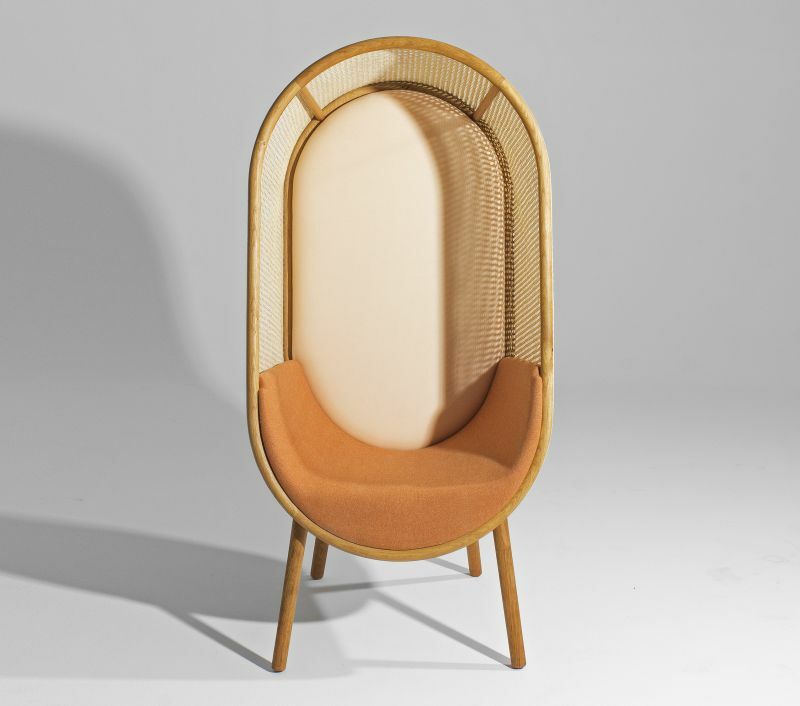 Combining the coastal chic beauty of rattan fabric with a curvy, unified wooden frame, the lounge chair creates a harmonious and inviting feel. 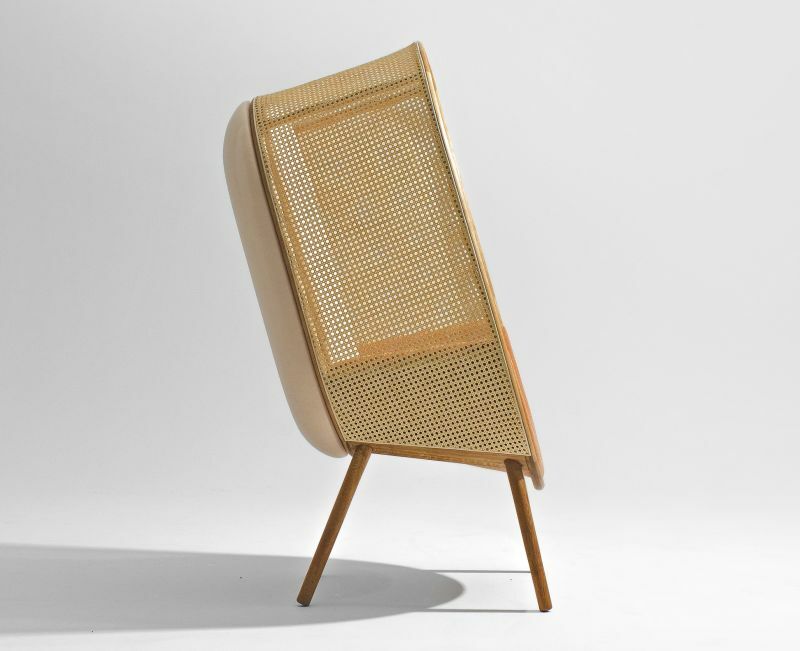 Standing on four tapering legs, Cocoon lounge chair blurs the boundary between furniture and architecture. 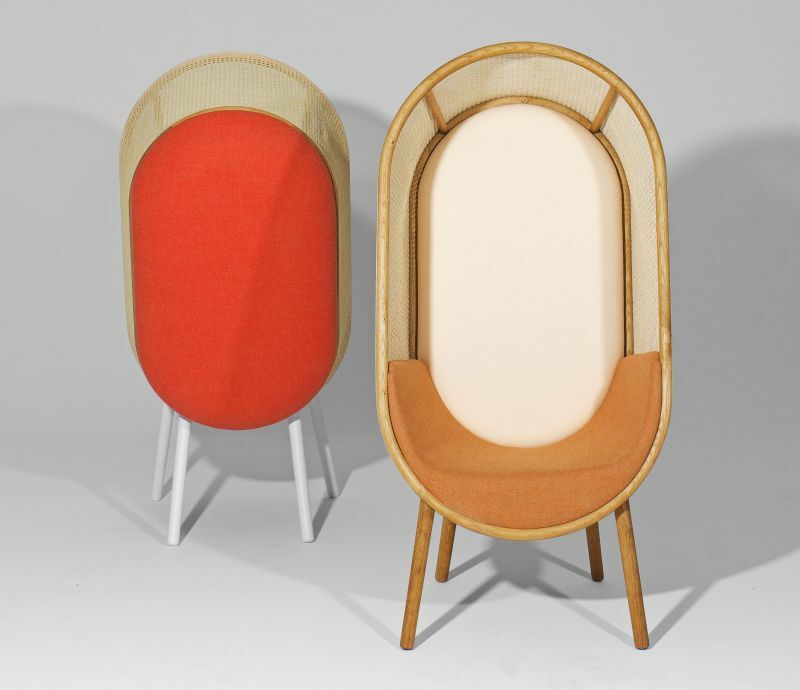 Resembling the classic egg-shaped hanging chair, it is a perfect nook to cozy up in. 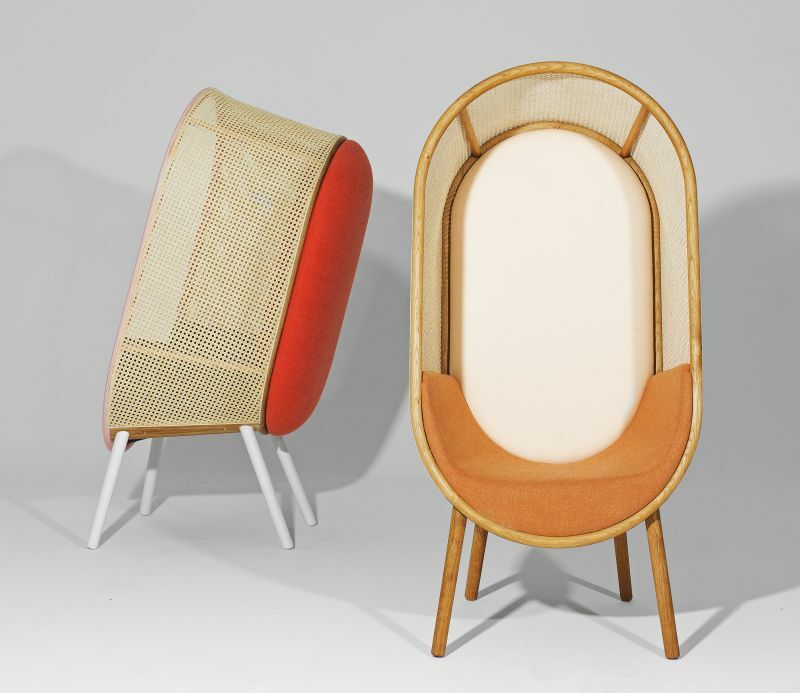 Its classic, curved lines and stunning profile coupled with an elegant perforated design offer a striking look while ensuring air circulation and privacy. Measuring 720 D x 640W x 1300H mm, it is a sort of unique low chair which allows you to place your head on the cushioned back and comfortably lay your legs on the floor. 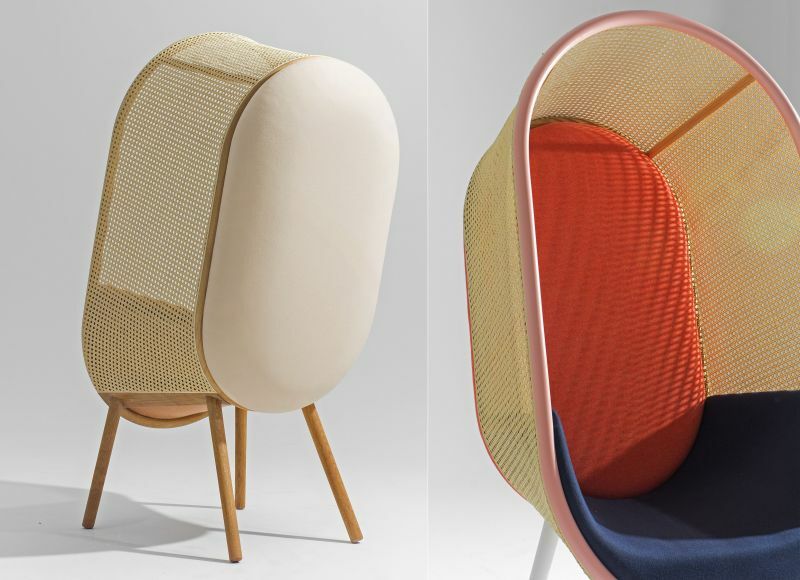 In addition, the laid-back design and soft cushions make it perfect for taking a quick nap while staying cocooned inside the chair. 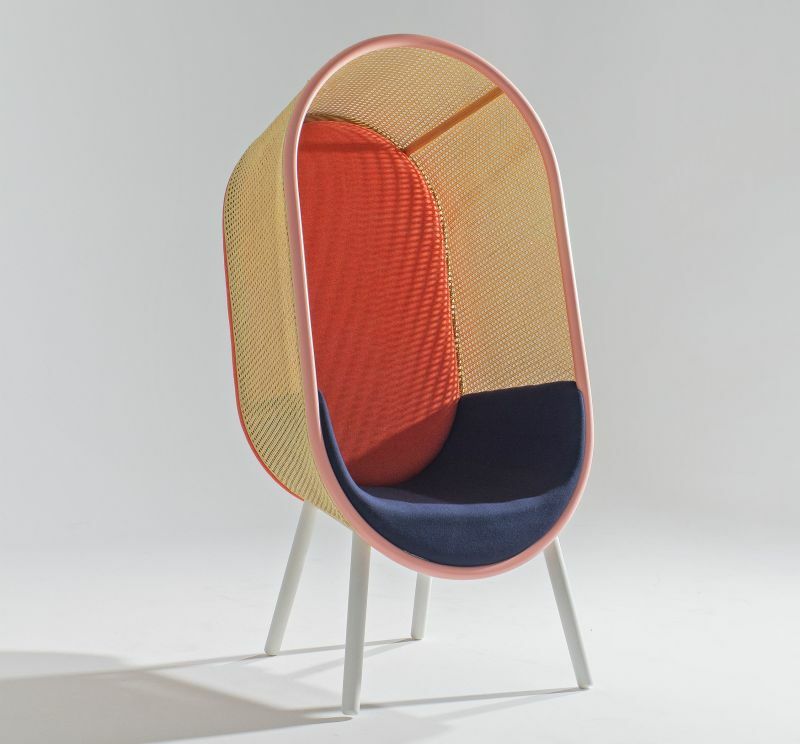 Depending on color combinations, the Cocoon lounge chair creates different expressions ranging from a serious, muted boho-chic to a vibrant playful look. Designed to be used for both residential and commercial spaces, this Bohemian style chair is a great choice for living rooms and restaurants. 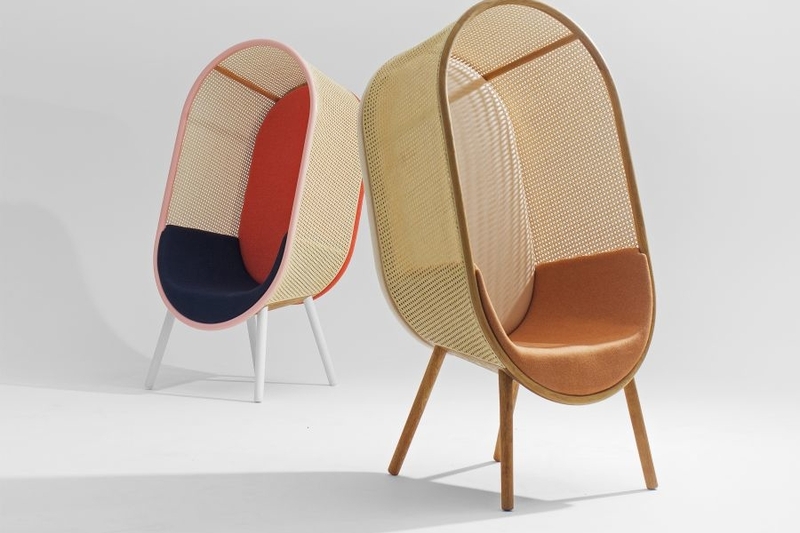 There is a wide variety of rattan furniture pieces available, but this one is unique with its colorful design, functionality, and comfort.